Athgira River Camping has 15 luxury tents with separate entrance and private veranda with comfortable chairs for your relaxation. 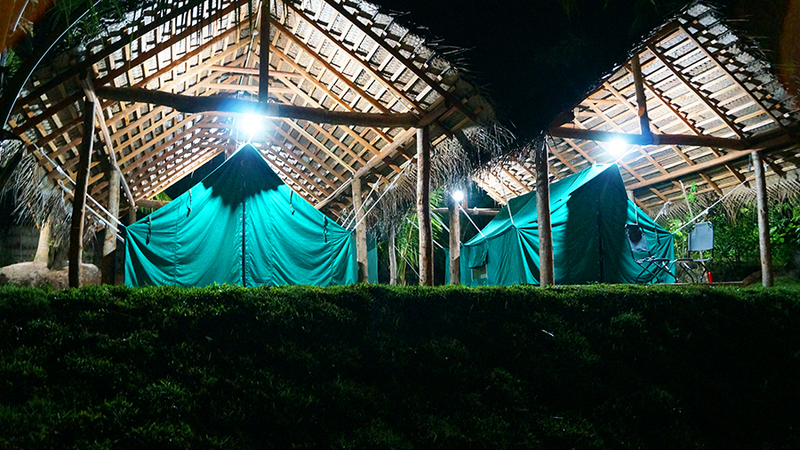 All tents are furnished and designed by wooden for the echo green concept. The luxurious tents are with modern facilities, but no harm for nature. 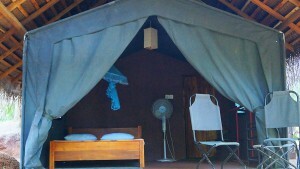 Our beds have been custom designed; locally made using bush logs (Teaks). You are surely going to have a good night sleep with natural cool wind. 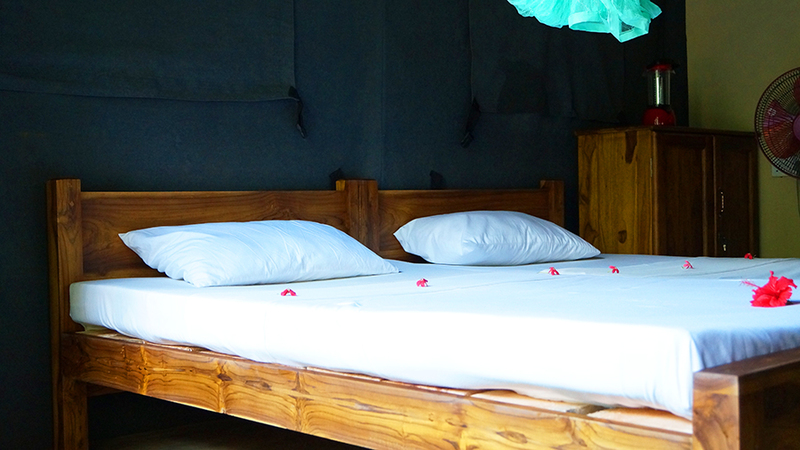 And with the Sri Lankan rustic furniture’s, mosquito nets, clothes rack, carpet and Balcony table & Chairs, which will be feeling you a home away from home. All tents have an attached bathroom with refreshing cold water. Electric fans get more cooling you relax. All rooms are facing to the Rakwana river feel the natural haven with fresh air. It felt so good to sleep with sound of the water and wake up with sound of the different birds. Athgira River Camping offers a special package tailor made for an unforgettable experience. Please inquire what your need.